Learn to Play Polo In Central London! Please note: Please bring healed shoes for riding. All other safety equipment will be provided. Smart casual for dinner. Changing facilities available. Ever watched polo and wondered what it would be like to play? Why not give it a go! 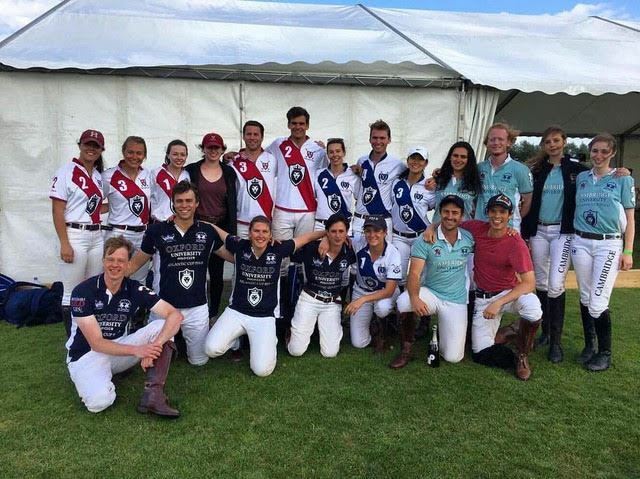 A group of young Cambridge alums, with their friends from Yale, are re-establishing the Atlantic Cup as the premier collegiate alumni polo tournament and are bringing polo to a wider audience. (See more about the Atlantic Cup below.) They have organised a charity taster day for those who have always been interested in the game but never had the opportunity to try -- all in Central London! This experience day, and the Atlantic Cup, is supported by the emerging Cambridge modern luxury luggage brand, c1209. 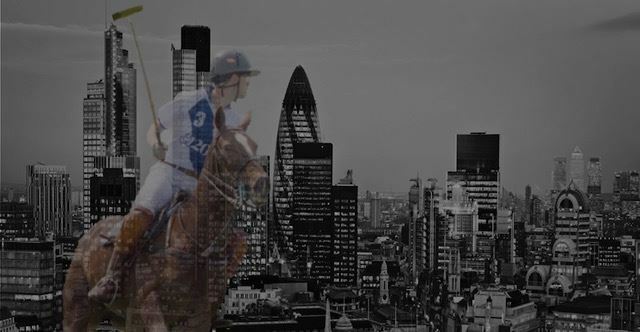 Suitable for both riders and non-riders alike, the group will meet at Canary Wharf then travel together to the polo academy in the Docklands. Here guests will experience three hours of HPA professionally coached polo including work on Argentine polo ponies, wooden horses and with foot mallets. All kit - DriFit polo shirt, polo whites and cap by Hurlingham Polo 1875 - will be provided and yours to keep. After training, everyone will return to Canary Wharf to enjoy a post polo celebration dinner with fellow team mates at Gaucho, where a traditional Argentine menu will be served with wine. No riding experience is required, although the event is not suitable for young children. Those who continue to play may have the opportunity to play for the Yale Alumni team at the Atlantic Cup Charity Polo Tournament in June 2019. Attendees will have priority access to tickets for the Atlantic Cup. All proceeds will go to supporting those with life changing spinal injuries through the work of Trust PA.
Alternatively, if you can't make the 28th, but would be interested in future dates, please contact Ben Lawrence. Founded in 2002, the Atlantic Cup is now being revived for a new generation. The Atlantic Cup showcases the pinnacle of University Polo, where Harvard, Yale, Cambridge and Oxford alumni (and student) players battle it out for honour and to support riding-associated charities. The 2017 tournament ran over three days at Oxford and the Guards Windsor, with finals in Cambridge. It was watched by over 500 spectators, many of them students who had never had the experience of watching polo before. Negotiations to hold the tournament in Cambridge, MA in summer 2018 is underway and the tournament will be back to these shores in 2019. If you would like to be involved in the organisation, have useful contacts, or would just like to learn more, please contact Ben Lawrence. c1209 is an emerging luxury luggage brand launched by three Cambridge alums out of the Cambridge enterprise centre. You can find out more at www.c1209.com. It has been used as a vehicle over the last two years to help grow the Atlantic Cup and now offers the commercial support to be able to run such events as the London Polo Day.